Abby and I are having another movie binge Sunday. I made French toast for her, and in a few minutes, From Here to Eternity. Tonight I might cook out. 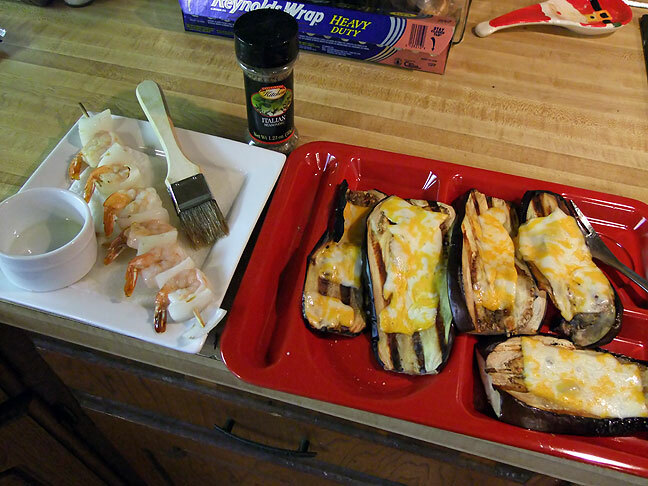 The last time I cooked out, Abby had grilled shrimp, and I had eggplant grilled with melted cheese.